HUAWEI continues to maintain impressive growth for its tablets in Malaysia and around the world. With its year-over-year growth rate tripling locally, the telecommunications giant is set to clinch a bigger share of the market in 2019, evident in how the award-winning HUAWEI MediaPad M5 has become a best-seller in the 8-inch product market to deliver unparalleled multimedia experience for work and play. This comes as IDC released its Worldwide Quarterly PCD Tracker on 30th January 2019. HUAWEI moved up a spot to third place out of five top tablet companies globally, beating Apple and Samsung in terms of year-over-year growth. Preliminary data revealed that HUAWEI has shipped a total of 14.5 million tablets in the last quarter, a rise of 15% as compared to the same quarter in 2017. While competition in the market remains stiff, HUAWEI is the only company to maintain a positive growth of 14.9%. The worldwide tablet market declined 14.1% and consumers continue to look for more affordable products, HUAWEI’s tablets have effectively balanced this with performance and software that line up with users’ expectations. Even though shipments from main industry players such as Apple and Samsung represent 45.2% of the market share, there is an increasing trend to focus on value over volume. Despite a higher market share, both posted significant declines in year-over-year growth. With a vision to bring digital to every user, HUAWEI’s innovative tablets are created to provide better entertainment and quality for every individual. Its latest tablet, the HUAWEI MediaPad T5 featues a 10.1-inch Full HD IPS screen which supports a resolution of 1920 x 1200 – the device is perfect for watching your favourite movies and series on your preferred streaming sites, in full HD. What’s more, it can connect with any HUAWEI smartphones, Windows PC and Mac, ensuring a thoroughly seamless sharing experience anytime, anywhere. HUAWEI has also placed emphasis on making the device child-friendly with the pre-installed ‘Children’s Corner’ feature that parents can utilise to set a time limit on usage and to select what content should be available to the child. The device also offers enhanced eye-comfort modes to cater to the child’s eyesight, ‘Posture Guidance’ that reminds the child not to read the tablet when lying down, ‘Blue Ray Filter’, and ‘Usage Time Control’ which allows parents to set a time limit which the device can be used for. 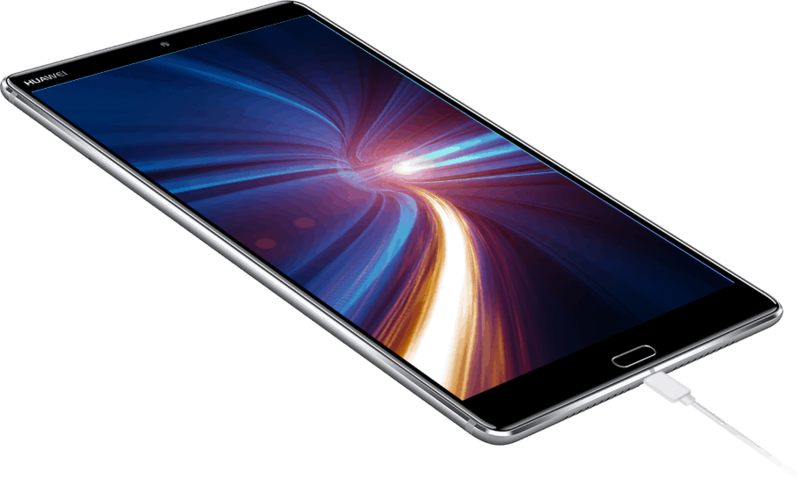 Retailing at the attractive price of RM999, the HUAWEI MediaPad T5 can be purchased at all HUAWEI Experience Stores, display zones, authorised dealers and major telco companies. For more information, please visit https://consumer.huawei.com/my/ or HUAWEI’s official Facebook page www.facebook.com/HuaweiMobileMY.